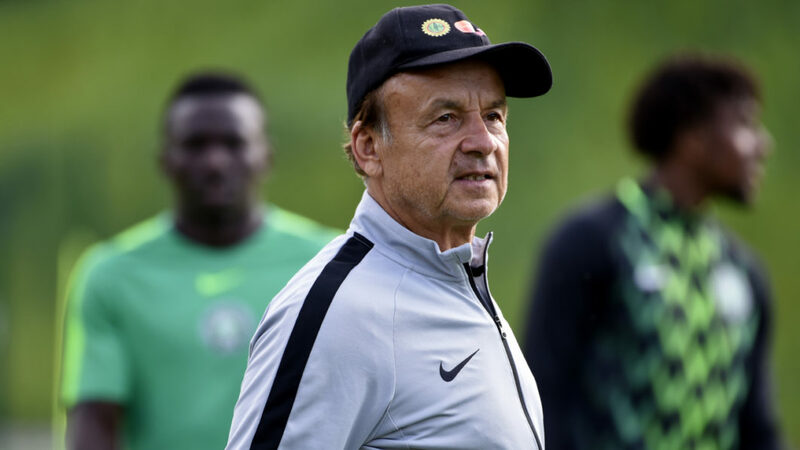 Competition for places in Nigeria’s final 23-man squad for the 2019 African Cup of Nations (AFCON) is already underway ahead of the upcoming matches between the Super Eagles and their counterparts from Seychelles and Egypt in Asaba, according to head coach Gernot Rohr. Three-time African champions Nigeria, who are already through to the 2019 AFCON in Egypt, face the Pirates of Seychelles in their last qualifying fixture on Friday before battling powerhouse, Egypt four days later in an international friendly encounter, with both matches slated for the Stephen Keshi Stadium in Asaba, Delta State. Rohr, who handed fresh call-ups to Enyimba duo of Valentine Ozornwafor and Ikouwen Udoh, Ndifreke Effiong of Akwa United, as well as Denmark-based Paul Onuachu in his 23 –man squad for both matches, also hinted that preparation for the AFCON will commence with the two games. “We are already preparing for the AFCON but this is the last game of the qualifiers,” the 65-year-old said. “So, it is a very important game. “I want to see who can come to our team. We now have four local players; (Ndifreke) Effiong from Akwa United and (Ikouwen) Udoh, the captain of the Under20 team who played very well in Niamey in the last AFCON of Under20. We also have (Ikechukwu) Ezenwa and Valentine (Ozornwafor), who is a tall left-footed defender. So it will be interesting to see the new players in at least one of the two games.